Stan Lee's cameos may be dwindling, but he's not done showing up yet. 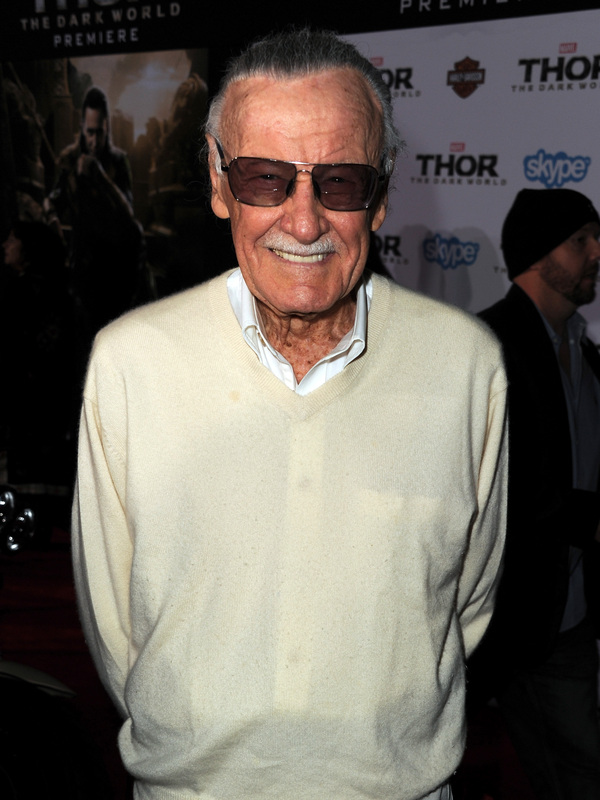 It's no secret that Stan Lee, the creator of many Marvel comics, has had a cameo in every one of Marvel's films sans two: Wolverine and X-Men: Days of Future Past. Instead of hanging up his acting hat, he plans to step up his cameo game, Next week, Stan Lee will be on Agents of SHIELD . Some of his cameos have been loud and obnoxious, sending the fictional world of the movie to a careening halt. His "I'm Stan Lee!" outburst in Fantastic 4: Rise of the Silver Surfer is a perfect example. However obtrusive they are into the film, Stan's comedic cameos do offer a sort of nod to the comics, and sometimes, they break up an otherwise dark film. His appearance as a mailman in Fantastic 4, his Hugh Hefner impression in Iron Man 2, and his Larry King bit in Iron Man 3 are all great examples. Other appearances by Stan Lee have been subtle jump-cuts in the middle of an action sequence, seconds so fleeting that they need to be re-watched again and again for the shock value, as in most of the X-Men films. These are great "easter eggs" for the comics-obsessed, but they don't actually do much for the films, although they don't detract from them. My favorite Stan Lee cameos, though, are the heartfelt ones. My heart grew a few sizes when Stan gave Spiderman hope in Spiderman 3 . His heartfelt sentiments, delivered to one of his most flawed characters, made me want to re-read an entire era of comics. If you look closely, it seems like Tobey Maguire breaks character for just a second, because he looks way too excited to be talking to a complete stranger. Now that Stan is taking his cameo game to the small screen, I wonder what type of performance he will give. Hopefully, as a "special guest star," he won't cop to his earlier performances and will instead be the inspiring dreamer we all know and love. I wish you the best of luck, Stan, but let's try to keep this one serious, okay?